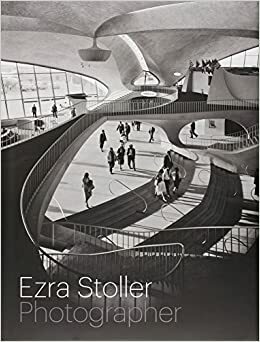 Ezra Stoller Photographer, the book by Nina Rappaport and Erica Stoller, considers the scope of work by Stoller, known as the dean of American architectural photographers. His iconic photographs of 20th-century architectural masterpieces, such as Frank Lloyd Wright's Fallingwater and Mies van der Rohe's Seagram Building, are often cited in aiding the rise of modernism in America. Stoller (1915–2004) elevated architectural photography to an art form, capturing the mood of numerous buildings in their best light. Erica Stoller takes a close look at rarely-seen images of models, construction and final views made in the '50s and '60s of the most important Modern buildings along Park Avenue and other New York City sites. Looking beyond the content, one can begin to understand the photographer's decisions about where, when and how the images were made. Erica Stoller is director of Esto, the photographic agency founded by Ezra Stoller. She is the co-author with Nina Rappaport of Ezra Stoller, Photographer.